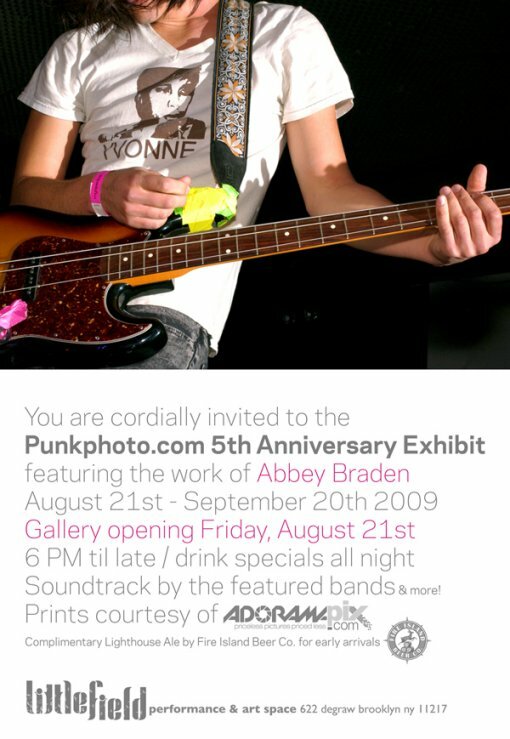 I’d like to invite you all to the PunkPhoto.com 5th Anniversary Exhibit featuring the work of music photographer extraordinaire (and good friend of the site) Abbey Braden. The gallery opening is set for this Friday, August 21 at Littlefield from 6PM until late. There will be music, drink specials, and some complimentary Lighthouse Ale for the early guests. See you there! PS If you can’t make the opening reception, the photo exhibit runs from Aug 21 – Sep 20, 2009.